On this date in 1723, Margaret Fleck was hanged in Glasgow for murdering her infant child. I am brought this day, and that justly, to suffer for the murder of my own child, and I doubt not but that it will be expected, and I think it most proper and my indispensable duty, that as I have sinned so heinously against God, so I should glorify him by repenting my unnatural, atrocious and bloody fact — the murder of mine own child … For which crime, and all my other sins I desire heartily to mourn, and to fly to the fountain that is opened to the House of David and the Inhabitants of Jerusalem for sin and uncleanness; and I desire to take shame and confusion of face to my self for my sins and iniquities, especially for the bad entertainment I gave to the gospel of Christ. At the time, death sentences in Scotland had to be pronounced not only by the judges but by the dempster, a juridical office responsible for the actual execution. 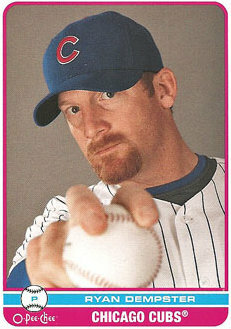 Major League Baseball pitcher Ryan Dempster: would he hang Margaret Fleck? The Sheriff Depute wriggled off the hook when a guy named Robert Yeats stepped up and did the Dempstering. * As cited by Anne-Marie Kilday in “‘Monsters of the Vilest Kind’: Infanticidal Women and Attitudes to their Criminality in Eighteenth-Century Scotland,” Family & Community History, Nov. 2008.